Know Your Division: What is the Missing Number? 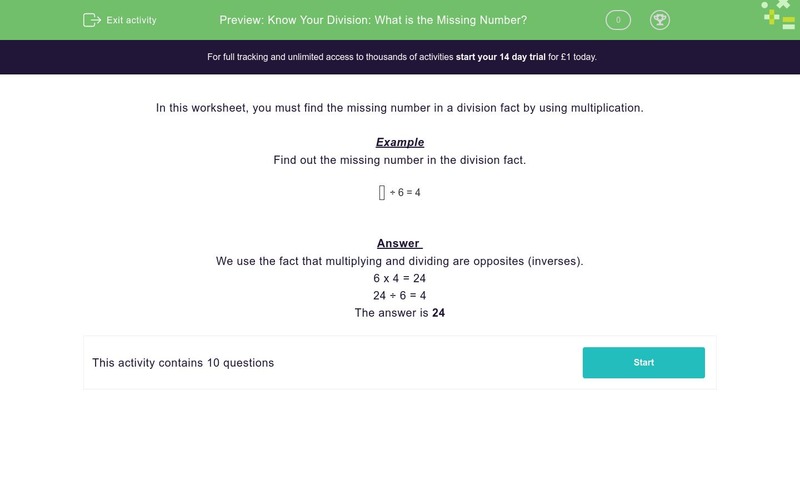 In this worksheet, students find the missing number in a division fact by using multiplication. In this worksheet, you must find the missing number in a division fact by using multiplication. Find out the missing number in the division fact. We use the fact that multiplying and dividing are opposites (inverses).